Nyeri County Governor H.E. 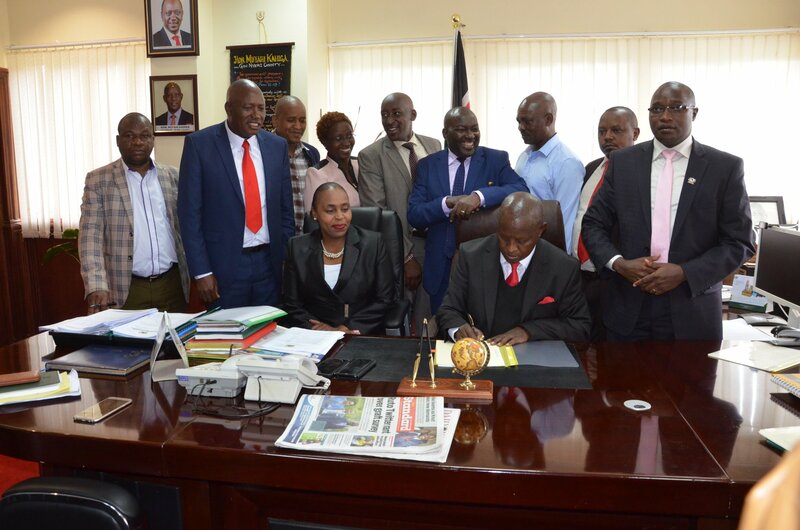 Mutahi Kahiga on 24th August 2018 signed into law the Finance and Municipality Bills which are meant to benefit residents of Nyeri County. 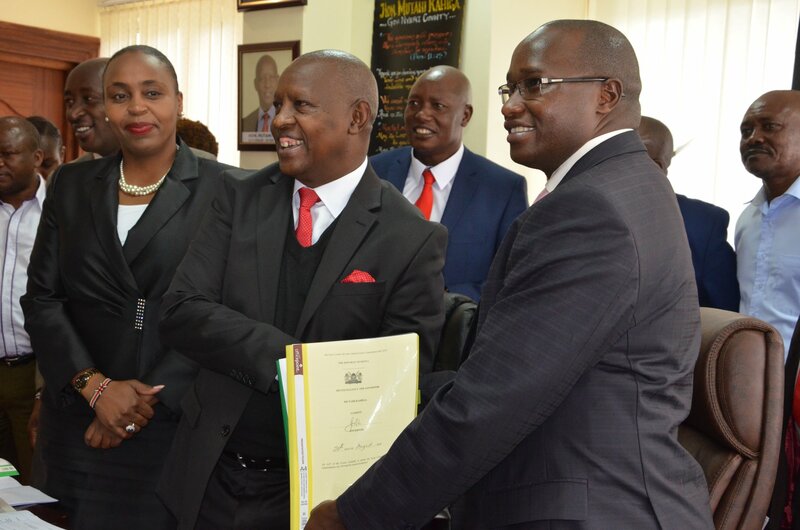 This involves establishment of Nyeri Municipality under the County Government of Nyeri. This will attract more funding of Sh 230 million per year from the World Bank. A board will be constituted to oversee operations. 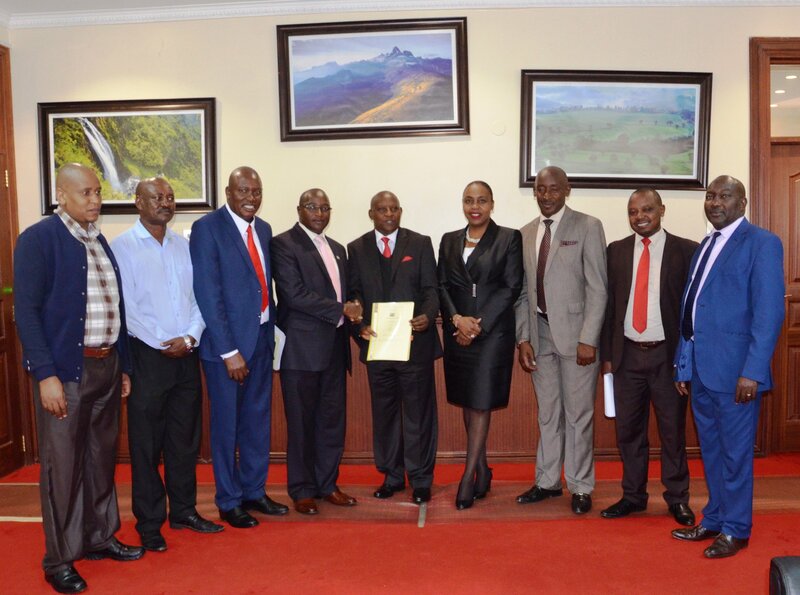 The Municipality Charter under the old boundaries and beyond, will help in creation of jobs and improved service delivery within the Nyeri Municipality. This includes improvement of roads through tarmacking, de-congesting of towns by creating new stages and improving markets among other services. 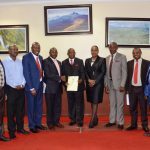 This is meant to give legal mandate to the finance team to ensure more revenue is channeled to the County Government of Nyeri for improvement of services to the people of Nyeri. In this financial year,2017/2018, the County of Government of Nyeri is targeting Sh 1 billion. This will be Sh 240 million more than what was collected in the last financial year. 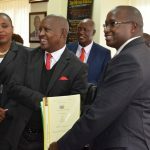 Last year, the county collected Sh 760 million which was the highest compared to the other years. The revenue will be ploughed back to the county by rendering services to the residents. 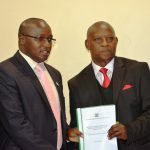 The signing- in- ceremony held at Nyeri Governor’s office was witnessed by Nyeri Deputy Governor H.E. 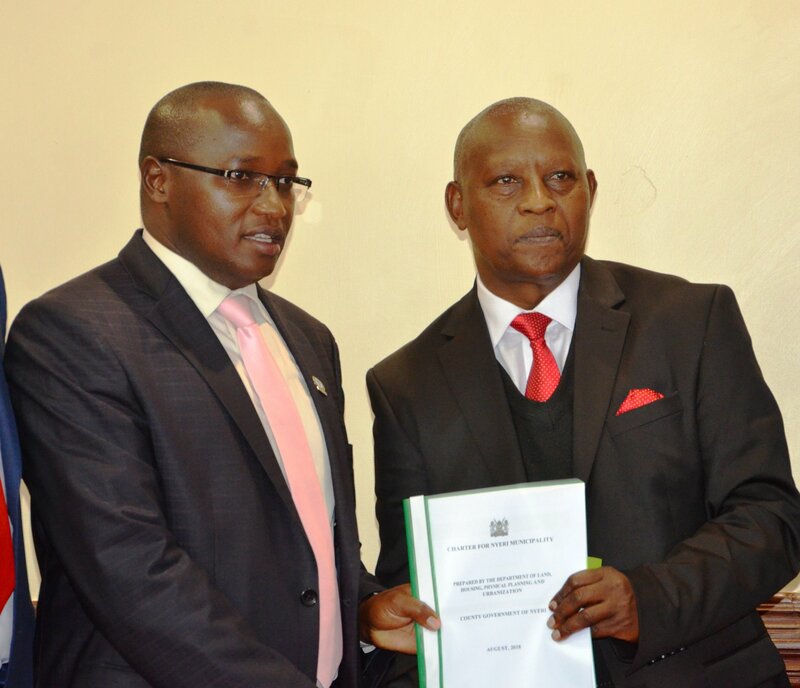 Caroline Karugu, Speaker of the County Assembly Hon John Kaguchia and Nyeri Majority Leader Hon James Kanyugo. Others present were Lands, Housing, Physical Planning and Urbanisation County Committee Chairman Hon Paul Kanyari, County Finance and Economic Planning Committee chairman Hon Atanasio Kabaire, Nyeri County Lands Chief Officer Hannah Maranga and Nyeri County Finance Chief Officer John Ngugi, Hon Sebastian Mugo (Wamagana Ward MCA), Hon Joseph Ngiri (Kabaru Ward MCA) and Hon Kiruga Thuku (Chinga MCA).